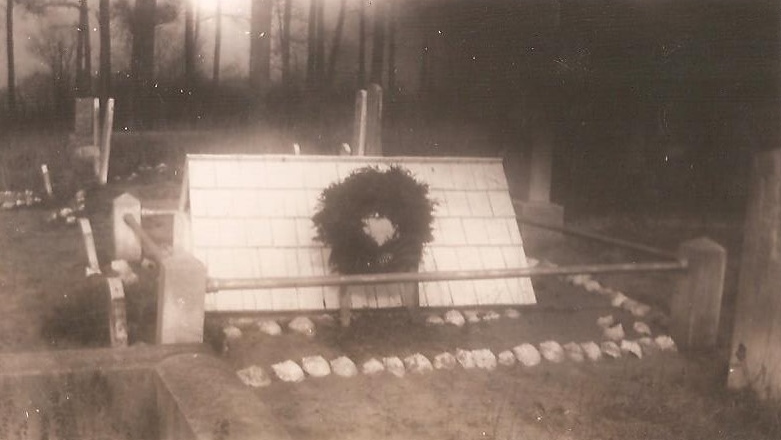 In the 1930s – 1940s, several sources reported the presence of old, roof-like, wooden grave covers or shelters in cemeteries in lower Sussex, notably at Bethel M.E. Church on the east side of Gumboro, the John C. West family cemetery near Raccoon Pond, and King’s M.E. Church near Trussum Pond. Their age, origins, and purpose were a matter of speculation. Additional sources published in the 1960s – 1970s indicate that the shelters were also used across the state line in eastern Wicomico County. However, the mysterious shingled structures were documented only sparingly, and never seriously investigated. None are known to have survived to the present, making a handful of 20th-century sources and photographs the only evidence that such a custom ever existed. Although the earliest known description is found in Delaware: A Guide to the First State (1938), compiled by members of the Federal Writers Project, Frank R. Zebley’s The Churches of Delaware (1947) is more helpful in that he mentions three specific sites, as well as two specific graves, those of John C. West (1814-1858) and his first wife, Mahala B. Truitt (1822-1852). Zebley also photographed some of the structures. 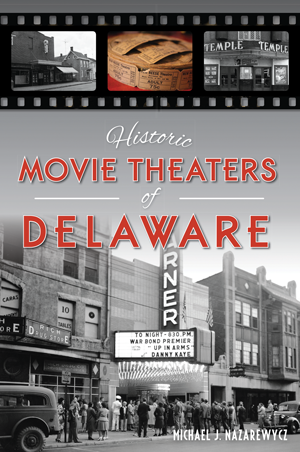 Other sources include Graveyards and Gravestones of Wicomico by John E. Jacob, Jr. (1971) and Folklore of Sussex County, Delaware by Dorothy Pepper (1976). Usually called “roofed-over graves” or “A-frames,” the structures featured cypress or cedar shingles and gabled ends. Most were in poor condition even in the 1930s. Bethel Methodist Episcopal Church in Gumboro. King’s Methodist Episcopal Church near Laurel. The John C. West family cemetery on Wootten Road, near Raccoon Pond. The Daisey family cemetery on Wilgus Cemetery Road, between Roxana and Bayard. A cemetery associated with the Timmons family near Lowe’s Crossroads. 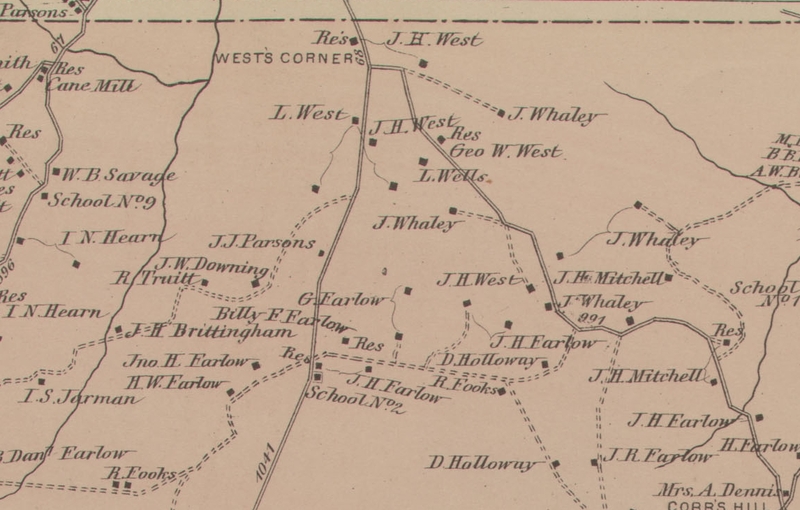 Jacob did not specify any sites in eastern Wicomico, but they were most likely located in the area between Pittsville and the state line. No sites are known to have been reported in Worcester County. The grave of Elijah Daisey (1888-1891) near Bayard, Delaware, photographed in 1947. Courtesy of Joan Howard. The available evidence suggests that the custom dates back to the 1840s, but it is unclear whether it developed locally, or was inspired by similar traditions in the South. Stone, peaked grave shelters known as combs are found throughout the Upland South, and have been dated to the 1810s, while shelters made of metal roofing have been erected even in the 21st century. (Dr. Richard C. Finch’s extensive studies of comb graves can be found at graterutabaga.com). All of the styles of shelters seem to be intended to protect graves, whether from animals, weather, or both. Different materials might simply reflect what was available; though stone slabs were rare and expensive on the peninsula during the early 19th century, durable cypress shingles were readily available, especially in the neighborhood of the Pocomoke Swamp. Cypress slabs were also used as grave markers, some of which still survive. Locally, the custom’s association with John C. West and his family might prove to be important. Some of his descendants are buried at the King’s Church site, while some of his relatives and ancestors lived in eastern Wicomico County, relatively close to the Bethel Church site (but closer to Line Church, where, disappointingly, no roofed graves were ever reported). Interestingly—perhaps importantly, perhaps coincidentally—there is an area of high elevation in this neighborhood which was known as Quaacosan Ridge as early as 1758. Native American quacason houses were crib-like wooden structures which protected human corpses while the flesh decayed, after which the bones were removed. Although there is no obvious link between quacason houses and roofed graves, it is certainly fascinating to consider that the early English settlers encountered Native American “cemeteries” featuring above-ground wooden structures all over the peninsula, and used them as landmarks for decades. Although the origins and purpose of the roofed graves of Delmarva are still unclear, it might be possible for us to learn more. They disappeared between the 1940s and 1970s; surely there are living locals who remember them. 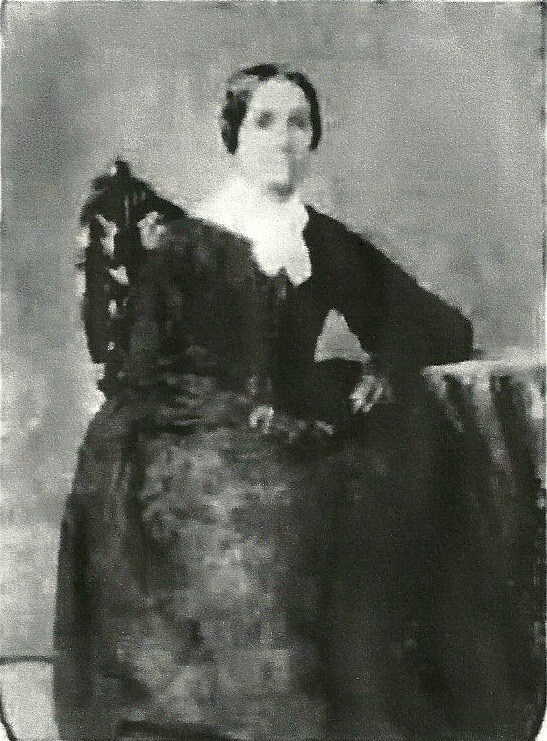 I am especially interested in learning about any additional sites, specific graves, or photographs, and hope to publish a much more detailed article about this mysterious custom in the future.